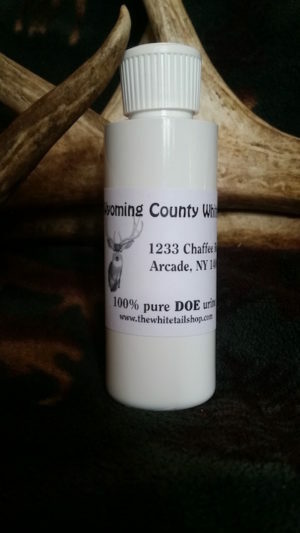 Premium fresh 100% whitetail buck urine with no additives or preservatives. 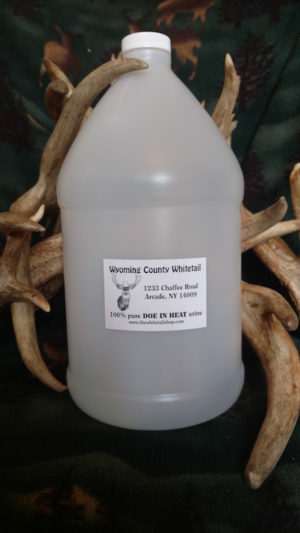 Premium fresh 100% whitetail buck urine with no additives or preservatives. 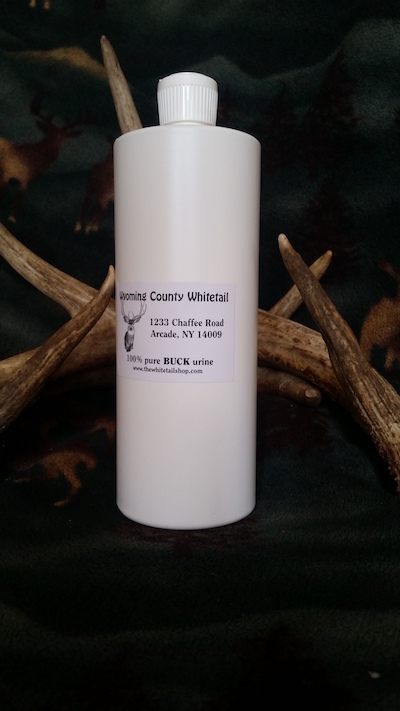 As the season progresses our buck urine will take on more of a musky smell which is somewhat noticeable in September, but becomes progressively stronger in October and even more so as the season progresses. 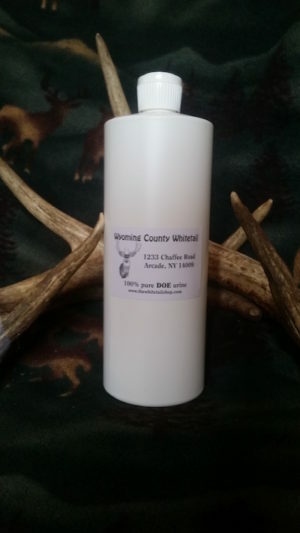 By mid to late season you can smell the stinky rutting bucks as soon as you enter our barn. This urine is actually yellow or very light cider color, as fresh urine should be, not like the stuff sitting on store shelves for months or years which is black and smells as bad as it looks. Collected twice daily from our own bucks and refrigerated immediately to preserve freshness. This is often used in an active or mock scrape to draw in bucks looking for a fight or to see what other bucks are invading their territory.